Holiday season is naturally a good opportunity for eCommerce store owners to increase sales and conversions. However, increased sales would mean heavier workload on the fulfillment team. Shipping is one area that can get extremely challenging during or immediately after a sale. It is important that you focus better on shipping to make sure customers are happy. In this article, we will discuss some strategies that will help you deal with WooCommerce shipping challenges more efficiently during this holiday season. Find the top WooCommerce marketing plugins that will help you improve sales on your store this holiday season. Get to know some WordPress themes that you can use during holiday season. Why shipping is more important during holiday season? There are more chances that customers are buying gifts for their friends and family during the holiday season. So, if there are bad experiences during this time, it can have an emotional impact far worse than at normal times. It will totally derail your efforts to retain some of the new customers you have attained during the holiday season. You have to prepare well in advance for the holiday season shipping strategy. Here, we will look into some of the aspects that would help you nail it. Providing tracking information to customers is one of the best ways to avoid the hassles of a delayed shipment. Once you provide tracking information to customers with the carrier details, they will be able to keep a track of the shipment at all times. In fact, this will help to reduce customer support calls asking about the delivery status. 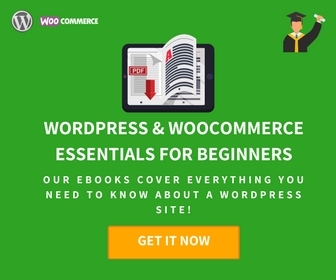 There are several WooCommerce shipping plugins that would help you provide tracking information automatically in the order completion email. Choosing such a plugin would be one of the first steps to avoid tracking related queries on your store. Find a list of WooCommerce shipping plugins here. When a shipment is uncharacteristically delayed or goes missing, things can get really complicated for an eCommerce store owner. That’s why several prominent shipping carriers offer added services to help you find a missing shipment. USPS offers a feature called Missing Mail to help you track missing packages. When a shipment has not reached the destination address after 7 days, you can submit a request on Missing Mail. You need to provide all the details regarding your shipment including the origin and destination address, details of the items in the package, and if possible even photographs. They will keep you updated about the search progress with periodic updates. In case your shipment is lost, USPS has a service to help you locate it. When you choose a shipping carrier that has an option to search for missing packages, you are reducing one of the possible headaches during the holiday season. Here is a list of WooCommerce shipping plugins that will help integrate USPS services on your store. Another unavoidable scenario in shipping is the delays due to bad weather conditions. One strategy would be to take into account possible delays and slightly extend the estimated delivery time for an order. This way, customers will be more prepared for a delay. Another option would be to identify weather delays at particular locations and accordingly handling those packages differently. Based on the situation, you can inform the customers about the possibility of delay due to inclement weather conditions. Another good strategy would be to give priority to shipments that go to such areas where bad weather is clearly causing trouble. Most shipping carriers provide an insurance option for their services. With insurance, you can be assured that in case of a lost shipment, or damaged goods, you will be able to refund your customers. However, you might have to incur an additional expense as the insurance premium. Though the extra expense might not be desirable, it saves you from a lot of future hassles. According to a study a considerable percentage of online shipments arrive the customers damaged. And that can be a definite cause for returns. If you have shipping insurance that protects you against product damage, you can breathe easy in such scenarios. EasyPost, a third party shipping company offers services of several leading shipping carriers through their API. They offer shipping insurance at a premium of 1% of the package value. EasyPost will handle all the claims and in most cases, settles them within 30 working days. You can find a good WooCommerce extension to integrate EasyPost services on your store here. Another very important responsibility of an eCommerce store owner is to devise a clear and reasonable return policy. In this age, where choices are many, customers would obviously prefer a store that has a hassle free return policy. A good, detailed return policy helps new customers form a good first impression about your store. In fact, a return policy can influence conversion rate, particularly during holiday season. However, having a good return policy will only do half the job. You need to execute returns and refunds in a trouble-free manner, so that customers are not really bothered with. Getting the assistance of a useful plugin that would let you handle returns effectively can make a lot of difference. Here is a plugin that you can use for better management of returns and refunds. This plugin helps you handle the entire Return Merchandise Authorization (RMA) process on your site. 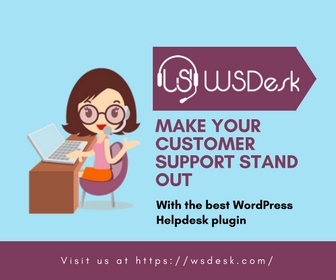 The return and refund related process involving a product under warranty period can be smoothly done with this plugin. With this plugin, you will be able to view and manage all your warranty claims from your WooCommerce store admin itself. You will be able to define the terms and warranty expiration dates for all your products. And, when a return request is in progress, the plugin will automatically send notifications to customers based on changes in return status. The plugin also allows you to maintain options for warranty extension on your store. Based on your strategy, you can make this free or paid. More importantly, the plugin facilitates customer input such as product images when customers initiate a return request. This will help you verify and validate return requests promptly. You will be able to track the progress of a return shipment too with the help of this plugin. The pricing plan of this plugin starts at $79 for a single site subscription. During holiday season, a lot of purchases online would be gifts for friends and family. Obviously, there will be certain additional demands for customers in the form of gift wrapping requests or adding custom messages. This needs to be taken care of by your fulfillment team carefully. 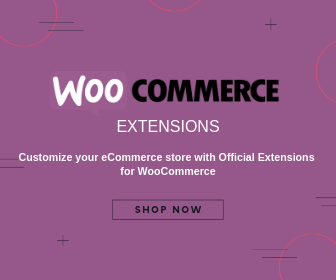 How can you manage this on your WooCommerce store? Here is a solution that would help you deal with this more effectively. 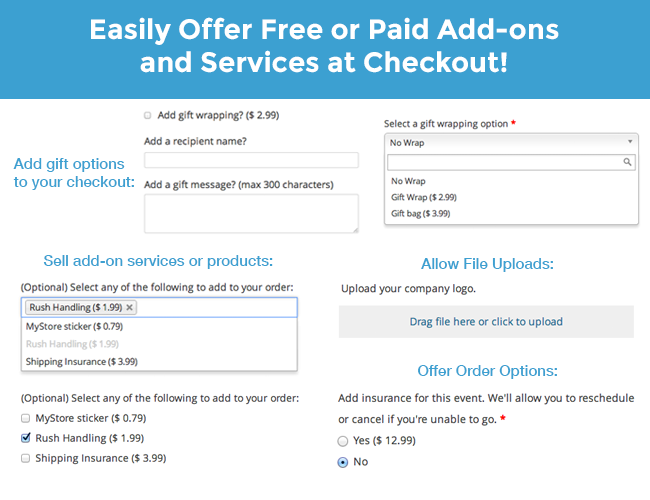 This plugin would help you add extra fields on your checkout page to collect inputs from customers. Additional requests such as gift wrapping or custom messages from customers can be taken through these fields. The plugin allows you to make these services paid (set up an amount or percentage fee) or free based on your store strategy. Once an order is placed with additional checkout fields, it will be visible on the order management team. You can even filter orders based on the presence of additional checkout fields. This will help the fulfillment team to identify orders with additional requests and handle the more effectively. You can even offer insurance option this way. The single site subscription of this plugin would cost you $79. The 5-site subscription is priced at $129 and the 25-site subscription is priced at $179. Another important aspect you need to look into during holiday season is the management of your inventory. First of all, you will need more space to store the additional products that you might need to stock during the sales period. This is something you need to evaluate well in advance, because finding place last minute for storage can be an added stress. If you are maintaining multiple warehouses, a good inventory management solution will help you sync all of them. Here are a few solutions that will help you manage your inventory better. It helps you create an integrated supply chain system that will help you overview right from procurement to fulfillment. The manual efforts involved in managing inventory systems, account books as well as multiple sales channels can be reduced with the help of TradeGecko. 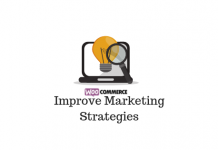 You can find an integration for WooCommerce free of cost here. Let us quickly look at some of the features of TradeGecko in more detail. TradeGecko keeps track of your products spread across multiple warehouses. You will be able to manage restocking as and when your stock reduces beyond a certain limit. Selling through multiple channels will become easier if you are using TradeGecko. It helps you sync your orders through multiple channels to your inventory. This way, you can forget about maintaining separate data for each of the sales channels. It will help you integrate with a range of popular third party accounting applications such as QuickBooks and Xero. Several apps are available to help your warehouse team to receive and take stock as well as scan bardcodes. Benefit from the option of TradeGecko payments in diverse currencies and countries. It helps you with great reporting features as well. With demand forecasting option, you will be able to prepare better for sales during the holiday season. Moreover, you will be able to gather data related to sales through multiple sales channels. This way, you will be able to identify the best sales channels for your store. TradeGecko creates backups of all your inventory and order data, and they will be securely stored in the cloud. TradeGecko offers a wide range of pricing options, which starts with the Lite plan starting at $55 per month (when billed annually). One of the simplest ways to increase conversions during a holiday sale event is to offer free shipping on your WooCommerce store. However, free shipping really can’t be a strategy that you can apply on all your orders. This is because shipping is a costly affair and subsequently you will feel the burden. A great way to manage this would be to offer free shipping in a controlled manner. You can create threshold order values above which you can offer free shipping. Here is an article that will give you more information regarding setting up free shipping on your WooCommerce store. An innovative way to juggle between multiple shipping methods would be to offer them based on the available user roles on your store. With the help of this plugin, you will be able to limit certain shipping methods or payment options only to customers of certain user roles. This would provide a lot of flexibility to offer deals on shipping. If you have an effective customer segmentation on your store based on shipping estimates, you will be able to know easily when to offer free shipping and when to not. Moreover, you can set up availability of shipping methods and payment options for guest users as well. A single site subscription of this plugin would cost you $49. The 5-site subscription is $79 and the 25-site one is $149. 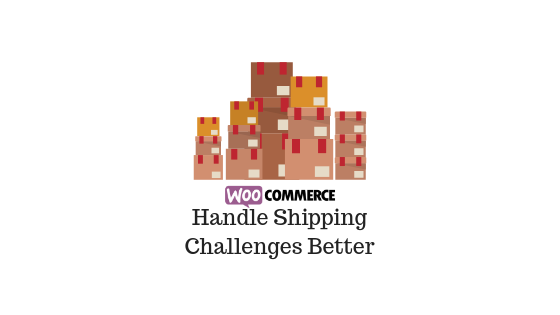 Hope the tips and tools mentioned in this article will help you handle the added challenges on your WooCommerce shipping strategy during this holiday season. The most important aspect is to prepare all aspects of shipping from inventory management to returns handling well in advance. Let us know in the comments section if you want to add an insight to this article. How to handle returns effectively on your WooCommerce store?